Our men’s and woman’s shirts are all high quality 100% heavy duty preshrunk cotton and professionally screen printed to last for years! 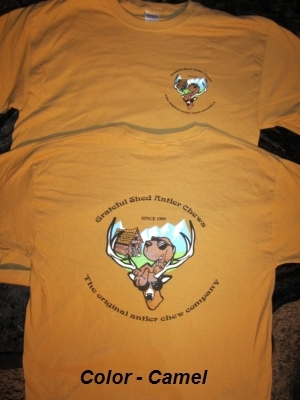 Our logo is on the front left chest of every shirt and full size on the back! 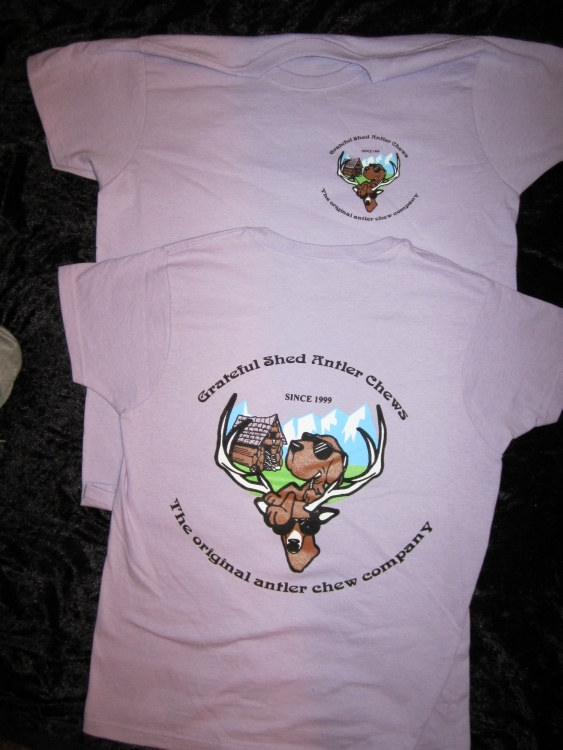 For the ladies we have beautiful yellow haze, orchid, light pink and pistachio color shirts that are cut for a woman. 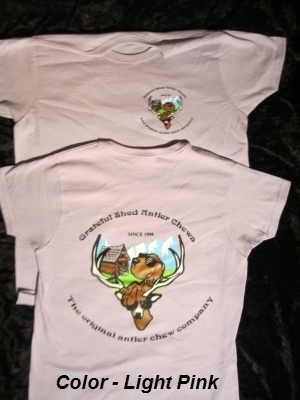 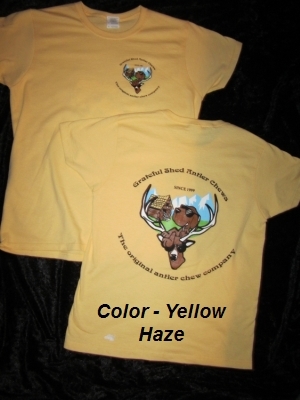 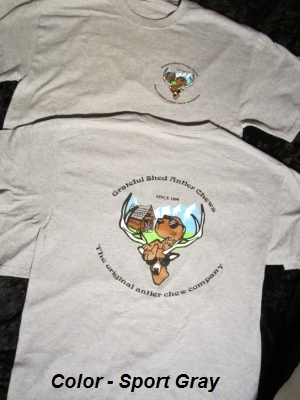 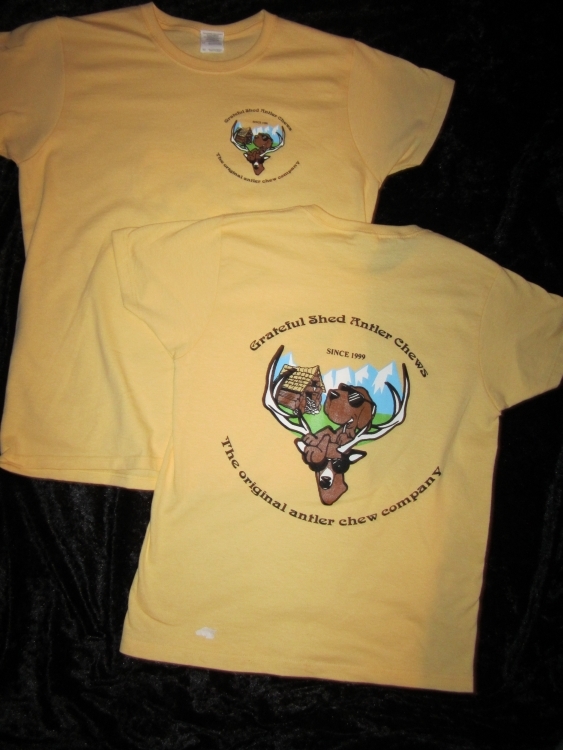 Also prairie dust, camel, white, sport grey and natural colored mens shirts. For every shirt purchased we will plant a tree in a national forest as part of our effort to plant the world! 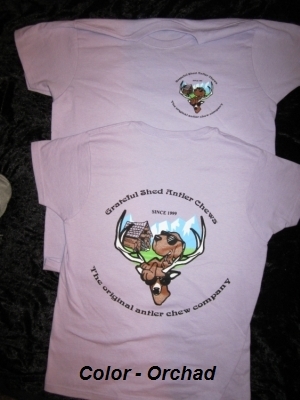 The woman’s shirts are available small through large and men’s large through XXL. 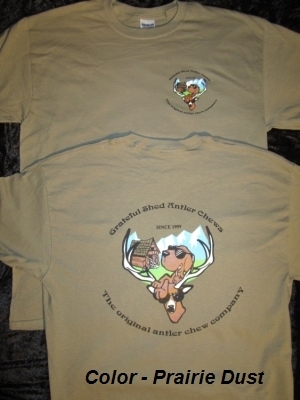 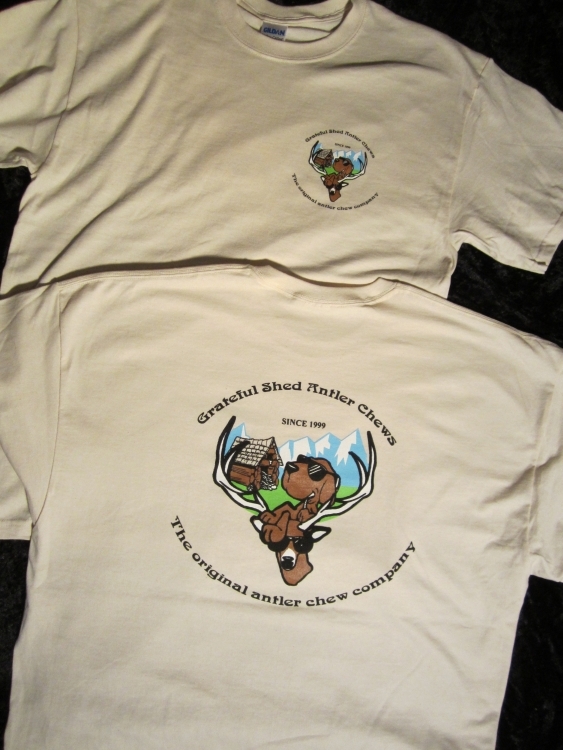 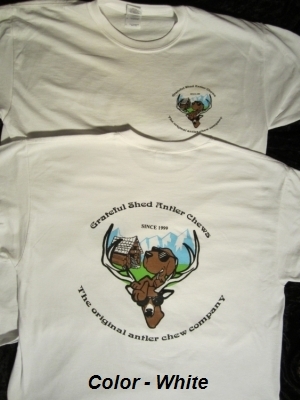 Don’t forget to add a shirt to your chew order! 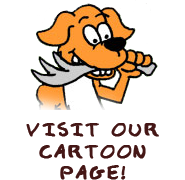 Lets plant those tree’s!